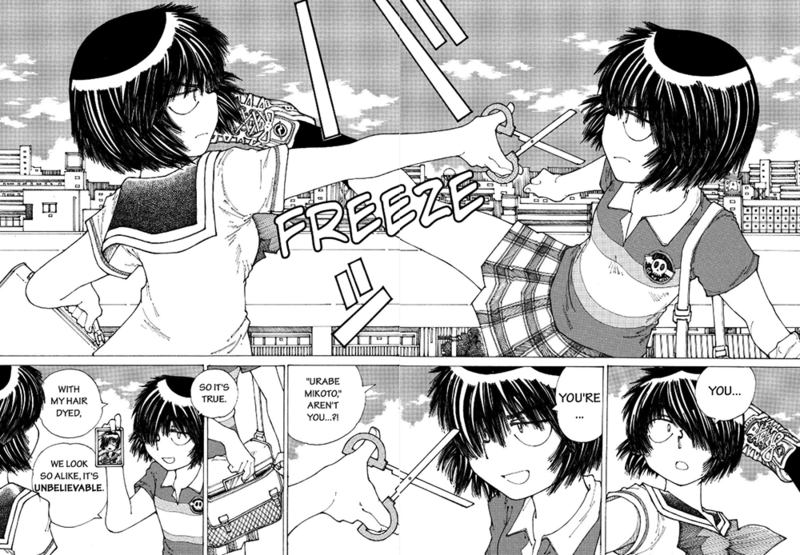 This entry was posted in manga, review and tagged mysterious girlfriend x, nazo no kanojo x, ueshiba riichi. Bookmark the permalink. ← Naruto: Victory is Mine!!! Thank you for this – MGX has been one of my faves for years, so much so that I even bought the ending. I hope it does well in translations across the world, it is really quite sweet. The end of the “high school club movie” arc moved me. A perfect, slow tale of adolescent love, built up around a tiny quirk or two. They are all mysterious, ain’t they? I haven’t read the manga, but I just want to note that the anime is criminally underrated – it’s really good in everything from its 1980s animation style to its beautiful use of music (the fabulous “Dream” theme). And it’s ending, with Urabe and Tsubaki visiting his late mother’s grave, is actually quite moving. Say what now? (French) kissing is much more than just exchanging saliva, unless you’re doing it wrong.